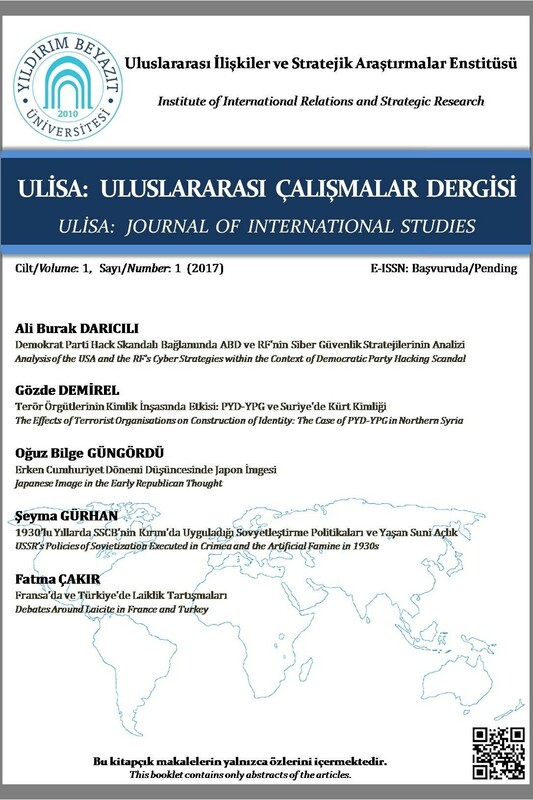 Ulisa: Journal of International Studies is published by Ankara Yıldırım Beyazıt University Institute of International Relations and Strategic Studies. Ulisa is a biannual academic journal. The publication language is Turkish. The articles focusing on the topics which are within the scope of the discipline of International Relations are given priority in the journal. In addition, articles from the fields like Political Science, Economics, Public Administration, History, Law, Anthropology, Environment or engineering which deal with a social dimension of a technical topic can also be published. In other words, Ulisa is open to all articles focusing on any dimensions of international relations. The publication principle of Ulisa depends on highlighting quality rather than quantity, contributing to the academic literature in Turkish and encouraging interdisciplinary studies. Ulisa supports open access to information. Ulisa: Journal of International Studies is published by the ULİSA Institute.